Leaders in organisations facing change often require personal support and development to prepare them for a new role or responsibilities, or to help improve performance in a specific area. The programmes are particularly effective when combined with a Competency Based approach. Performance Coaching programmes are designed to provide leaders and managers with the opportunity to explore options to improve performance in areas where there is a clearly identified shortfall in experience. They are also designed to help managers prepare themselves for promotion to positions which require new skills and understanding. Specifically, this programme concentrates on key developmental areas that prepare the individual for the next executive level in the organisation or to respond to new demands in a current role. To establish those issues that are identified as areas for improvement. Develop the means by which those issues can be removed or at least minimised. Understand the areas in which the individual will need to be trained, in order to prepare them for the next executive level in the organisation. Create clear action plans, with review mechanisms, in line with the business and the individual's goals. Develop better understanding of the group dynamics that can affect the performance of individuals and teams within the individual's current and potential spheres of influence. An initial meeting between the Coach, the individual and their manager is arranged to agree the specific objectives for the programme. Alternatively this can be done remotely using the coach as co-ordinator. The initial session is then followed by a series of half-day one-to-one appointments with detailed agendas and structures. The individual has access to the coach on a 7 day 24 hour basis for advice, discussion and to provide a sounding board for ideas and action. Developed strategy for improving those areas identified as key for the individual's future development. Tailored support in line with identified specific needs. The use of established "Best Practice" tools to aid the development process and to increase the knowledge and skills at the individual's disposal. This programme is designed as a package of six appointments, including the initial objective focussing session. The appointments would be spread over a period of four/five months with at least three weeks between appointments to allow actions to be put into place and progress to be identified. Each session would normally be of a half-day duration. The hours would be agreed to suit the individual's needs and requirements. Remedial coaching programmes are designed to provide businesses with the opportunity to give individuals specific and targeted training and support. Often this is for individuals who are not meeting the required standard of performance for reasons either inside or even outside their control. This form of coaching is often seen as a cost-effective alternative to the difficult and potentially expensive exercise of replacing those individuals who are not at the appropriate standard. The programme is designed to provide individuals with the opportunity to explore options to improve performance in areas where there is a clearly identified shortfall. Additionally the process provides a support structure that the organisation might not be capable of. Specifically, the programme concentrates on those areas that are key as identified by the individual and their immediate boss. To communicate and analyse those issues which are identified as areas for improvement in their current performance. Develop the means by which those areas can be addressed and performance improved. Create clear action plans, with review mechanisms, in line with the goals that have been set. These operate on a short-term basis for review with both coach and immediate superior. Provide a support structure on a day by day basis for the individual to use, so as to provide every opportunity for performance to improve. An initial meeting between the Coach and the immediate superior and the Coach and the individual is arranged to set or confirm, in detail, the specific objectives for the programme. The initial session is then followed by a series of half-day one-to-one appointments with detailed agendas, structures and outputs. It might be appropriate in some situations to make the appointments for a full day depending on the nature of the issues and the agreed action plan. 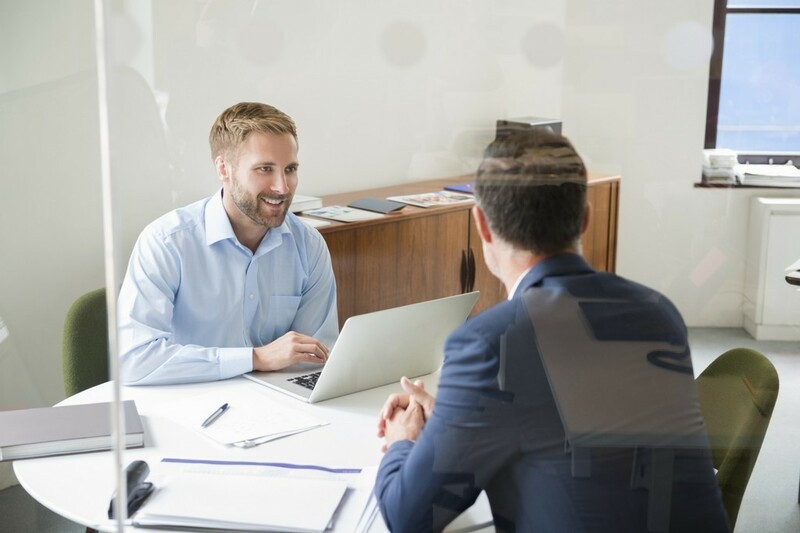 Additionally, the individual has access to the coach between sessions for advice, discussion and to provide a sounding board for ideas and action. Personal support from someone who knows the business and can help the individual with the specific issues identified. Tailored support in line with the individual's specific needs. The use of established tools and techniques for improving performance and the application of disciplined effort to improve. Clear focus by the coach on the issues identified with no external influence. This programme is designed as a package of six appointments, including the initial objective focussing session. The appointments would be spread over an agreed period to reflect the needs of the business and issues facing the individual. Each session would normally be of a half-day duration, the hours will be agreed to suit the individual and the business needs and requirements. Reaching a senior position in an organisation presents opportunities and challenges in equal measure. One of the greatest of these is to balance the demands of work and home life, and to apply leadership thinking across all aspects of your life. This programme is designed to enable you explore how to challenge your thinking and ultimately the behaviours and life decisions that effect your opportunities to clarify and achieve your goals, both within and outside work. A Life Programme, by its nature, deals with some of the more personal elements of ones life. For this reason the first session has to be one where the individual has to feel comfortable with the coach. If at the end of the first session either party considers the fit not to be appropriate then they can withdraw from the programme at no cost. To establish those issues which are identified as critical for future years in terms of personal development. Develop the means by which those issues can be considered and decisions made in relation to longer-term strategic plans. Create clear measurable objectives that can be reviewed as the "journey" towards the strategy for change begins. Develop the specific tools that will help to make a difference to your life, creating a toolbox of on-going opportunities that can be used after the programme has been completed. An initial meeting between the Coach and the individual would be arranged to discuss the nature of and to agree in detail the specific objectives for the programme. The meeting will include an explanation of the mechanisms to be used to establish the areas for action and the review processes. The initial session is then followed by a series of half-day one-to-one appointments that will have detailed agendas and structures. Additionally, the individual would have access to the coach between sessions for advice, discussion and to provide a sounding board for ideas and action. Independent and unbiased discussion regarding the balance between work and home / personal and linked time. A safe sounding board for issues, problems and opportunities. This programme is designed as a package of six appointments, including the initial objective focussing session. The appointments would be spread over a period of four/five months allowing at least three weeks between appointments to allow actions to be put into place and progress to be identified. Each session would normally be of a half-day duration, the hours would be agreed to suit the individual's needs and requirements.